The perfect compliment for a longer visit. A few nights camping under the stars in the mountains of Northern Ethiopia is an absolute must for anyone planning a trip to Ethiopia. Enquire about this trip to include it as part of a larger itinerary. Sunset in the Simien Mountains. Begin your journey into the mountains at Michibiny. 3 hour acclimatisation hike to Sankaber. 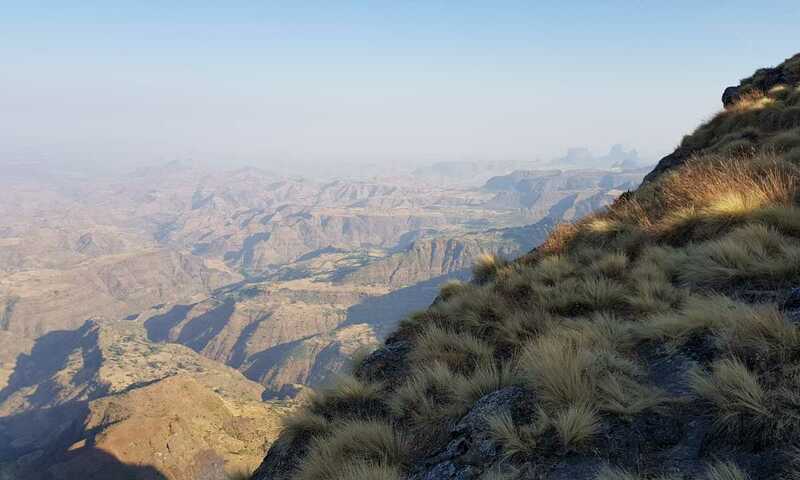 Meet the wildlife of the Simien Mountains as you trek from Sankaber to Geech. Ascend over 4000m as you summit Imet Gogo and Inataye. After summiting Buahit, you'll head back to Chennek camp before being driven to Gondar. From here, you can either catch a flight to Addis Ababa or continue on a longer itinerary. Enquire about this trek if you'd like to include it as part of a larger holiday. This trip can run as a group trip, with prices starting from $660 per person for a complete group. If you are looking to join a group or you are a solo traveller we will help to form likeminded groups of travellers. Please let us know your travel plans. The current total fare for the domestic flight(s) in the itinerary is USD $140 per person when Ethiopian Airlines is used for international flight. Otherwise the fare for the domestic flight(s) in the itinerary is $420 per person. Fares subject to change by airline.